Sniffles, sore throat, fever, and aches and pains may accompany a number of illnesses, but during the wintertime such symptoms are typically indicative of influenza. Throughout much of North America, flu season peaks between December and February. 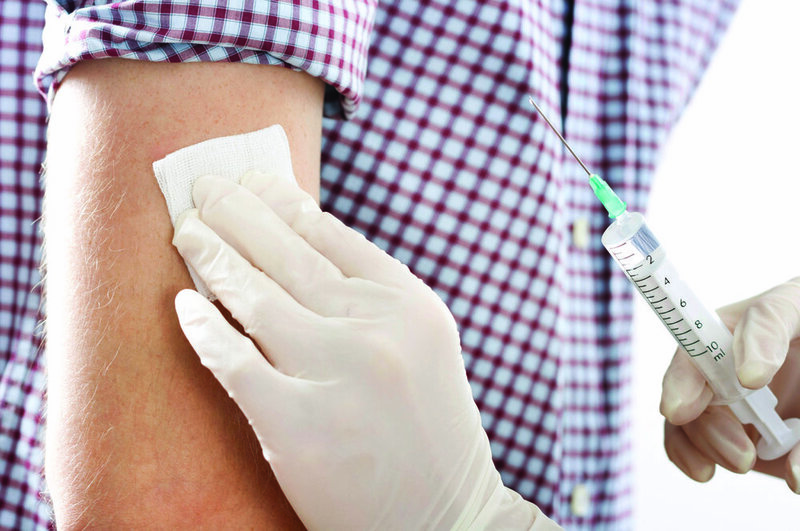 But flu season can occur anywhere from October to March, advises the U.S. Centers for Disease Control and Prevention. The flu is contagious and can sideline people for extended periods of time. The CDC says that each year one in five Americans gets the flu. Taking steps to fend off the flu can help men and women and the people they routinely come in contact with. Food can be used to fend of the flu. Common foods that many people already have in their pantries can be powerful flu-fighters. Garlic, for example, contains compounds that have direct antiviral effects and may help destroy the flu before it affects the body. Raw garlic is best. In addition to garlic, citrus fruits, ginger, yogurt, and dark leafy greens can boost immunity and fight the flu, according to Mother Nature’s Network. The British Journal of Nutrition notes that dark chocolate supports T-helper cells, which increase the immune system’s ability to defend against infection. A study published in the American Journal of Therapeutics showed that carnosine, a compound found in chicken soup, can help strengthen the body’s immune system and help fight off the flu in its early stages. Annual flu shots administered in advance of flu season can help protect people and their families from getting the flu. The U.S. Food and Drug Administration says that, in select situations, antiviral medications — which are usually prescribed to treat the flu and lessen symptoms — can reduce the chance of illness in people exposed to influenza. Many over-the-counter medicines can alleviate symptoms of the flu, but cannot fend it off. Germs can be spread easily between persons through direct contact and indirect contact with surfaces sick individuals have touched. Doctors recommend staying home for at least 24 hours after a flu-induced fever has dissipated. Well individuals should avoid contact with sick people. Frequent hand-washing with soap and water can stop germs from spreading. When soap and water is not available, alcohol-based hand sanitizers can help. People also should avoid touching their eyes, noses and mouths after being in public places or around someone who is ill.
Those who feel symptoms coming on should begin drinking more liquids to keep the respiratory system hydrated and make mucus less viscous. Remember to get adequate sleep, as a tired body cannot effectively fight the flu virus. People of all ages should take steps to protect themselves from the flu. The unofficial beginning to the holiday shopping season, Black Friday compels many people to get out of bed in the middle of the night in the hopes of landing great deals on gifts for their loved ones. The competition to find deals on Black Friday can sometimes get heated. As a result, some shoppers have found themselves in unsafe situations in the past. Many retailers have taken steps to make the atmosphere in their stores on Black Friday less hectic and more consumer-friendly. Shoppers can follow suit and take the following precautions to ensure this Black Friday is as safe as possible. • Recognize you might not get everything on your list. Inventory may be limited in regard to sale items on Black Friday. Make a list of the items you hope to buy and where you hope to buy them, ranking each item in terms of importance. Then calmly move from store to store, recognizing that you may not end up with every item on your list. Accepting this ahead of time can make the day seem less hectic and more safe. • Protect and conceal your purchases. Shoppers might not be as sharp when shopping Black Friday sales in the wee hours of the morning. That could make them more vulnerable to thieves. Protect and conceal purchases at all times. If necessary, bring items to the car after each purchase, making sure to place them in a concealed vehicle trunk where they are not visible to prospective thieves. • Leave small children at home. While horror stories of Black Friday holiday shoppers stampeding through stores are few and far between, malls may not be the safest places for small children to spend the day after Thanksgiving. Overstressed shoppers running on fumes and long lines at the checkout counters can make things unsafe for small kids and try their patience. Shoppers who plan to shop on Black Friday should leave their small children home with a spouse or relative to avoid accident or injury. • Park in well-lit areas. Parking can be hard to find on Black Friday. But shoppers should not give in and park far away from stores in poorly lit areas of parking lots. Doing so makes shoppers vulnerable to theft or attack. • Be attentive in the parking lot. In addition to keeping an eye out for prospective thieves or attackers, Black Friday shoppers should be mindful of motorists in the parking lots. 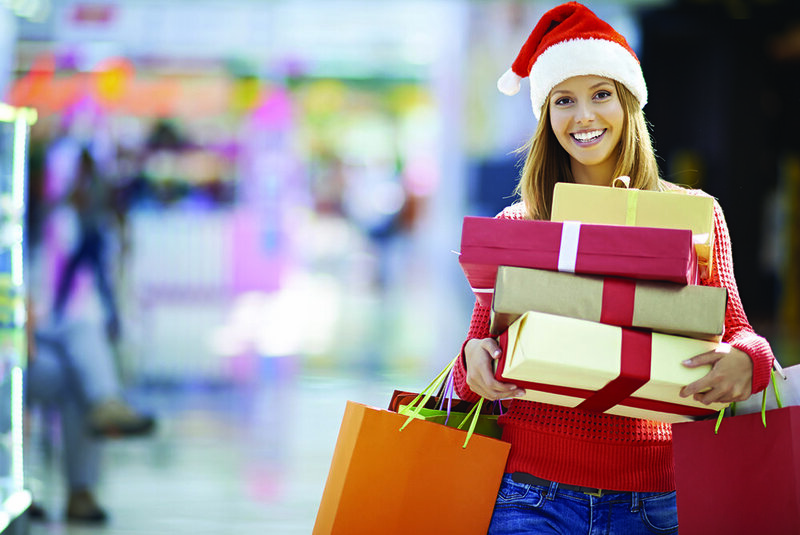 Tired shoppers may be focused on getting home and speed through parking lots. Stay alert to avoid exhausted drivers. Finding deals might be the ultimate goal of Black Friday, but shoppers also must be mindful of safety when shopping during the unofficial beginning of the holiday shopping season. New pets can make life at home more exciting. Cats are popular pets because of their curiosity, playfulness and size, which makes them great pets in private homes and apartments big and small. Many people prefer cats because they tend to require less maintenance than dogs and felines are relatively self-sufficient. According to a 2014 survey from Alberta Agriculture and Forestry, 37 percent of Canadian households included one or more cats. In the United States, the American Pet Products Association says that 30 to 37 percent of households have a cat, and more than 35 percent of cats are acquired as strays. Kittens can be soft, fluffy and adorable to have around. However, to maintain a peaceful household and provide a safe environment for new felines, it’s important for pet owners to follow some key tips. Kittens should not be separated from their mother or siblings until they’re at least 10 to 12 weeks of age, provided the litter has had significant human contact, offers Blue Buffalo Pet Food’s animal experts. If the kittens have not had much contact, it may be possible to bring them home earlier. The earlier cats are socialized, the easier the kitten-owner relationship and the less skittish the cat may be. Cats require some necessities from the start. These include feeding bowls, litter boxes or trays, toys, and scratching posts. Washable cat beds with warm blankets are also helpful. Position the litter tray in a corner away from food and water. The International Cat Care group says that a new home can be intimidating, so it’s best to introduce cats slowly to their new environments. Choose a room that’s quiet where the kitten can adjust. Outfit the room with toys and a place to snuggle or hide, and remove any hazards or breakable items. Gradually give the kitten time to venture out into the main living area to explore, watching how it behaves. If the cat dashes nervously, it may need more time to acclimate. Some kittens take up to two weeks to fully relax in a home. People should be introduced one at a time. The animal guidance group VetStreet says handling and playing with kittens at least once per day will help owners form strong emotional bonds with their cats. Children should be monitored upon introduction to the new kitten to make sure it’s a positive experience for both the kitten and child. Veterinarians can offer a wealth of information for new cat owners. Ask many questions, including which foods to feed them and how often; illnesses to watch out for; suggestions on how to introduce the kitten to other pets; and guidelines for making litter box training easier. Remember to discuss having the kitten spayed or neutered right away to help combat cat overpopulation. Kittens can be playful members of the family. Treat them right from the start and they can make loving and excellent pets. Many people have a passion for travel, which can provide wondrous new experiences and enrich travelers’ lives in ways they might never have imagined prior to their trips. While some may associate traveling with family vacations or backpacking excursions with friends, more and more travelers are flying solo. In its 2015 Visa Global Travel Intentions Study, the market research firm Millward Brown found that 24 percent of people traveled solo on their most recent international vacations. That study examined travelers from 25 countries, illustrating that solo travel is a global trend. Traveling alone can provide travelers with a greater sense of freedom, as such wanderers can pick and choose their trips and activities without having to consult with a partner or friend. But traveling solo also can be more risky than traveling with friends or family. The safety in numbers philosophy has long been applied to traveling overseas, but women traveling alone can employ a handful of safety strategies when planning their trips. Women should take various factors into consideration before choosing lodging for their trips. Small hotels or bed and breakfasts may not be as glamorous as larger alternatives, but it’s easier to become friendly with staff at such establishments and it’s easier for staff to recognize any suspicious characters loitering on the premises. Choose a hotel on a well-traveled street so you are not walking alone down a dark road late at night. If you plan to drive on your trip, inquire about valet parking and its availability throughout the day. A 24-hour parking service can keep you from having to park in dimly lit and/or faraway parking lots late at night. Many travelers may enjoy “getting lost” on their trips, feeling that such wandering is a great way to discover areas of a city that are less populated by fellow tourists. But solo travelers must be mindful of their surroundings at all times. Study maps before departing on your trip so you can get a layout of any locales you plan to visit. Learn the landmarks and their locations within the city, using them as guides should you get lost during your travels. Employ the GPS technology on your smartphone if you find yourself getting lost, and ask the front desk attendant or concierge at your hotel to mark off any potentially dangerous neighborhoods to avoid. While it can be difficult to blend in with the locals when traveling overseas, try to avoid dressing too flashy or wearing lots of jewelry. Jewelry may draw the attention of pickpockets or thieves, while overdressing may announce to criminals that you’re a tourist. Blending in as much as possible can make you less noticeable to criminals and reduce your risk of being targeted. More and more travelers are going solo. Female travelers who embrace this trend must exercise caution to ensure their trip is as safe as it is enjoyable. Halloween parties do not necessarily need to be ghoulish to be fun. Try a glittery gala masquerade party or decorate exclusively in orange and black. Classically eerie parties may feature ravens and crows, or they can be subtlety spooky with red candles and heavy curtains. Summer vacation means spending time outdoors and enjoying sunny skies. But not every day will be sunny and clear. 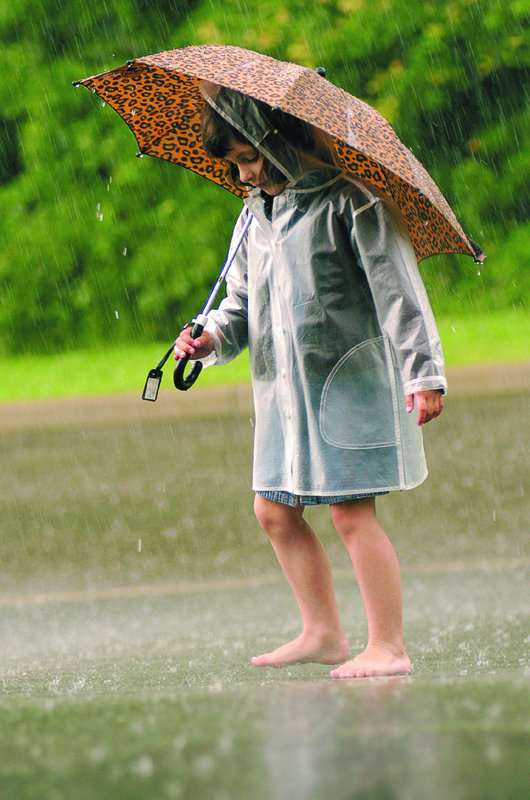 For those banking on spending long summer days outside, rainy days can put a quick damper on those plans. However, poor weather doesn’t have to diminish all of the fun. The following are some go-to ideas that can keep summer vacationers happy even when the rain is falling. Visit area museums. It’s probably been a while since you’ve looked at the sights in your hometown, and rainy summer days provide the perfect opportunity to take them in from a tourist’s perspective. If you are away from home when the rain starts to fall, inquire about any unique indoor activities the area has to offer. Hotel lobbies and concierge offices typically have lots of brochures advertising nearby activities. Do a scavenger hunt. Make up clues and hide a prize to be discovered at the end of the hunt. Scavenger hunts can keep children or adults occupied until the rains subside. Have an indoor campout. If weather cancels your plans to camp out under the stars, pitch your tent indoors and camp under the ceiling. Tell scary stories and tinker with s’mores recipes to make your indoor camping seem more like the real thing. Stock up on board games. Board games are the original boredom-busters. They’re portable, and they can quickly turn a rainy day into something much more tolerable. Up the ante and have winners from each game compete against one another in a game of a different type. Head to the theater. Catch that summer action flick or curl up next to a sweetheart and watch the latest romantic comedy. Some movie theaters even offer discount tickets at certain times during the summer. Don’t be afraid of the rain. Unless you’re a certain witch with a wicked streak, chances are you will not melt in the rain. Summer rain actually can be refreshing, so put on your rain jacket and enjoy a stroll or even find a way to have fun in the rain. It’s alright to get messy during a rainy day volleyball or football game. Just be sure to run inside the moment you see any lightning. Practice vehicle safety. It is never acceptable to leave pets in parked cars, even for a minute. Temperatures inside vehicles can rise quickly and considerably in a matter of minutes, even with the windows opened slightly. HSUS says on an 85-degree-day, temperatures inside parked cars can reach 102 F within 10 minutes. Pets can suffer irreversible and even fatal organ damage in that period of time. If you have to run errands, keep dogs and cats at home where they will be more comfortable. Stay off of hot asphalt. If you’ve ever walked on the hot sand or an asphalt driveway on a hot day, you understand just how scorching those surfaces can get. Dogs and cats do not have protective shoes to wear, so safeguard the delicate pads of their paws by keeping companion animals off of hot surfaces. Schedule walks in the early morning or late afternoon when temperatures are cooler. Schedule a pet grooming visit. The American Veterinary Medical Foundation suggests speaking with your veterinarian to see if it’s appropriate for your pet to get clipped shorter or to be shaved in the summer. But a fur coat can offer protection from the sun, so weigh the pros and cons before taking action. Apply sunscreen to your dog’s skin if he or she has a thin coat. Provide a way for pets to cool off. If you’re hot, chances are your pet is hot, too. Offer a means for pets too cool off, such as a wading pool when you are outside. Offer plenty of fresh water. Keep pets who do not enjoy the heat indoors with the air conditioner running on hot days. Look for indicators of heat stress. The American Veterinary Association says heat stress is marked by heavy panting, dry or bright red gums, thick drool, vomiting, diarrhea, or wobbly legs. Move pets exhibiting such symptoms to a cool place, drape a damp towel over the animal’s body, rewetting the cloth frequently, and get the animal to the vet as soon as you possibly can. Exercise caution in the water. Dogs can get swept away by rip currents just like human swimmers. If you will be boating, invest in a life jacket for your pooch and look for water hazards, such as currents, sink holes, and blue-green algae in lakes and ponds. The restaurant industry is booming, with new restaurants entering the challenging foodservice market every day. The National Restaurant Association says restaurants in the United States' generate roughly $2 billion in sales on a typical day. Media Edge, a Canadian trade resource, says the foodservice industry play a major role in Canada's economic growth by providing so many jobs. Food servers are among some of the hardest working employees in the foodservice industry, but sometimes their efforts go unrecognized. The following are a handful of ways diners can show their appreciation to the men and women who work hard to ensure their customers enjoy their dining experiences. 1. Recognize that waiting tables is no easy task. Waiting tables is both physically and mentally demanding. Servers spend hours on their feet carrying and balancing plates of food during their shifts. Servers also must anticipate the needs of diners and do their best to accommodate them. Acknowledge that servers' jobs are not easy when dining out, and express your gratitude for their had work whenever possible. 2. Recognize that slow food often is not servers' faults. Very often a food server has no control over how fast the food comes out of the kitchen. A very busy meal service can stall an inexperienced kitchen. Don't blame the server because the food took longer than expected to arrive on your table. If you're in a hurry, let the server know in advance so he or she can work with you. 3. Look up at your server. Eye contact shows respect and it will help get your order across clearly - reducing the likelihood of a mixup regarding your order. 4. Put down your phone. Distracted diners are sometimes to blame for slow service. In 2014, a popular New York restaurant took matters into its own hands after constant complaints of slow service. After examining surveillance footage of the dining room from 2004 to 2014, the restaurant owner discovered the wait staff hadn't changed its techniques, but the customers' use of cell phones had slowed table turnover from one hour and five minutes to one hour and 55 minutes. Taking pictures of food, texting before ordering or asking a server to take a group photo can contribute to slower service, which puts added stress on servers. 5. Holidays can put a monkey wrench in restaurant flow. Certain times of the year are popular for dining out. Mother's Day and Father's Day, Valentine's Day, and winter holidays are busy times for the restaurant business. Diners should recognize this and exhibit extra patience when dining out during these busy times of year. If you aren't up for the crowds, abbreviated menus and other factors that come with holiday dining, choose another day to go out. 6. Tip with courtesy and respect. Tips are important to servers because their income may not be steady. Some restaurants do not pay servers minimum wage, expecting their salaries to be offset by tipping. Tip according to how the service was, not the taste of the food or beverages. A 15 percent tip is customary, but you may want to tip 20 percent for exceptional service. Don't dine out if you cannot afford or do not plan to tip. 7. Ask ahead of time if you need a split bill. Multiple checks can prove time-consuming. Address this need early on and pay as punctually as possible. The restaurant business is fast-paced and challenging. Customers can do their part by being patient and pleasant patrons and showing their servers the respect they deserve.